-Dodges Banana Peel- MK8 is #CRAZY! Nintendo is at the verge of giving me a heart attack! This trailer just gave me life! Not too long ago, I wrote all there was to know about the upcoming Mario Kart 8. HOWEVER, Nintendo decided to release an unannounced Nintendo Direct with the last pieces of the puzzle about the next chapter in the Mario Kart saga! 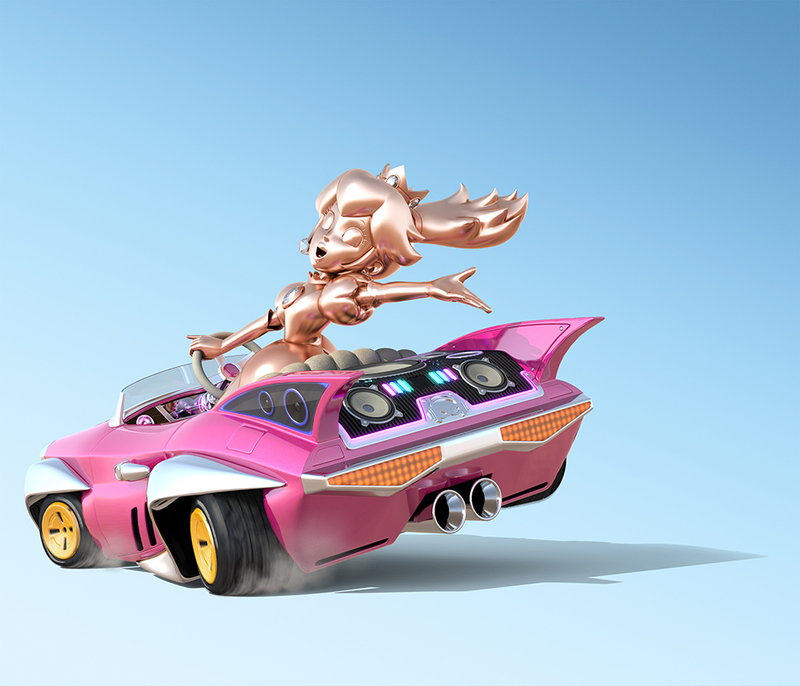 The remaining characters were revealed: the adorable Baby Rosalina and Pink Gold Peach! Personally, I can’t wait to get my hands on that pink gold. I always got enjoyment of beating people with characters people stereotype against like Peach because she’s “too girly.” Can’t wait to make people eat my golden pink dust! Talking about the “new and shiny,” Nintendo also released ALL of the 32 tracks in MK8 and I am here to list them for you because that’s what I’m here for. Ready? Please welcome the Super Horn and Crazy 8! The latter is basically a grab bag of 8 items that surround your kart and you’ll be able to use them – pretty neat. HOWEVER, that Super Horn though! It serves as the ultimate offensive/defensive weapon. Not only will the horn be able to blast opponents out of your way, it is said that the sonic blasts have the ability to destroy any shells heading your way – including the evil, dreaded, and diabolical Spiny Shell. Oh, yes. 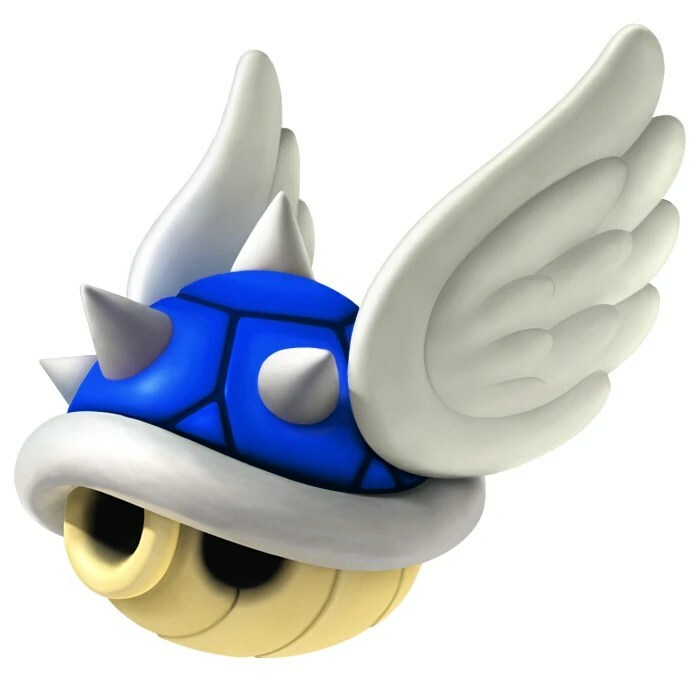 The Spiny Shell has met it’ match finally and it’s all coming to MK8! Lastly, remember I mentioned how Europe was getting its own bundle pack with a cool Spiky Blue Shell collectible statue? Well, no need to be jealous because North America gets it’s own special bundle too! The same includes a black Wii U Deluxe (32 GB), a copy of Mario Kart 8 (not confirmed if it will be a disk or digital, a Wii Remote Plus, and a Wii Wheel for only $330.00! But wait, there’s more! People who purchase whatever version of Mario Kart 8 (i.e., disc, digital copy, or the bundle) and registers the game on Club Nintendo by July 31st of this year will get to pick a free copy of either Super Mario Bros. U, Pikmin 3, The Legend of Zelda: Wind Waker HD, or Wii Party U! So, for those of you who are still debating on buying the console, THIS is the time to act! Is it My 30th already?! Thanks for reading and remember to Share, Retweet, Reblog, and Comment below!